Summer Days are Gone Too Soon! 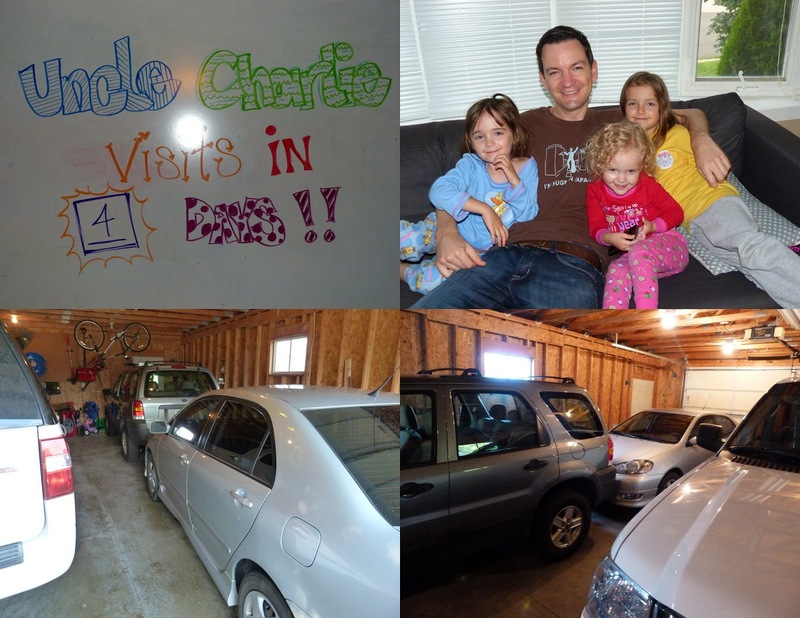 Charlie arrived during a good strong Midwest thunderstorm, and we learned that our garage IS big enough (we always thought it probably was) to park 2 cars deep, plus 2 side by side, which I think is impressive. 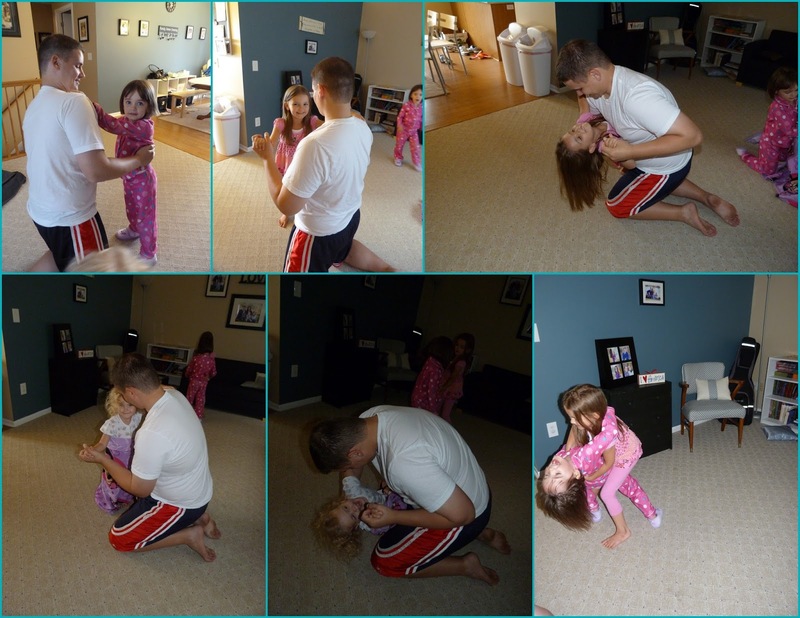 The girls LOVED having Uncle Charlie here, as always! He really is SUCH a great Uncle. Unfortunately the day he arrived I woke up super sick, with what was eventually diagnosed as inner and outer ear infections, a severe sinus infection, and strep throat. So Charlie ended his visit a couple of days early to prevent himself from catching my sickies, which made us all terribly sad. Thankfully he didn't end up sick, because he still had to drive the 12 hours to his new home and unpack/get settled in. Luckily for us, he'll be here again this year for Thanksgiving, so we'll get to see him again before too long! With having 3 girls, and reusing all our girl clothes every other year, it is always fun to see favorite or special outfits come around and fit the next kid. I can't believe that Kate is already big enough to fit this pretty princess dress that my mom made several years ago! I wanted to snap a picture so that my mom could see her in it. I scored several great finds over the course of a couple days, including an awesome (if in need of some repair and care/cleaning) dollhouse for TEN dollars on craigslist! Then a few days later a house down the street stuck this play house on the curb. It was dirty and had lots of spider webs. If you know me well, you know that this would normally be a deal breaker for me. Spider webs = no go. However, I knew that the girls would really, really love having this house, so we brought it home, and I personally sprayed off all the spider webs, and cleaned it off. Again, me even getting near a spider web is a HUGE deal. Sure I had ginormous goose bumps the whole time, said a fair amount of swear words very loudly in my mind, and had to stop every couple minutes to walk it off, but I did it! And I'm pretty proud of myself, especially because the girls, especially Katy, love it SO much. 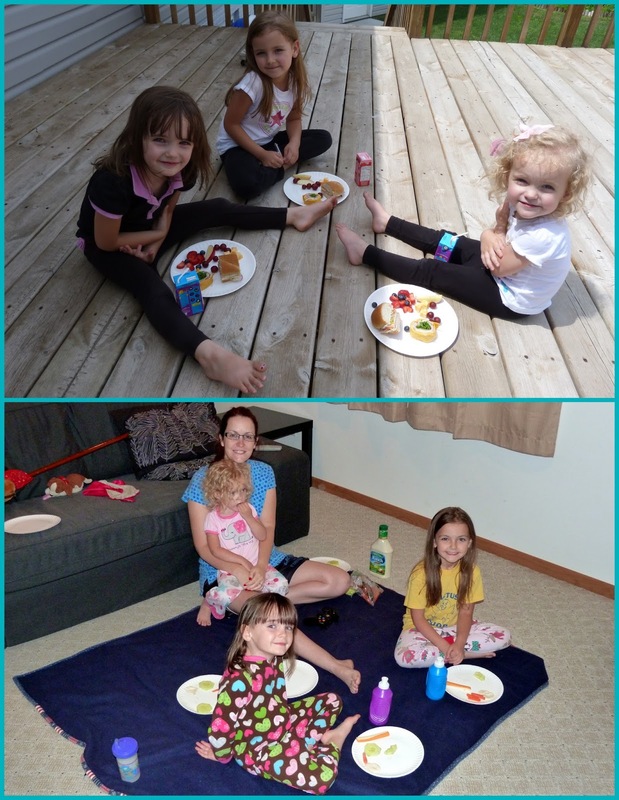 I decided that my phobia of spiders outweighed my distaste for being tacky and we put the play house in our basement family room, so that it would stay clean and bug free. The weather toward the end of the summer has been bi-polar, 95 degrees one day and 75 the next. 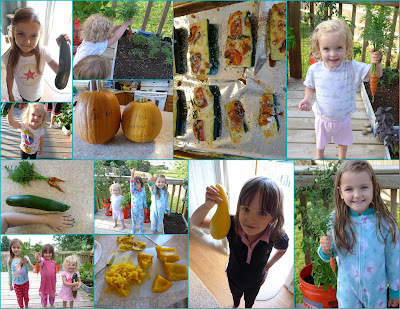 We did all we could to savor the nice days, and really enjoy the last bit of summer. 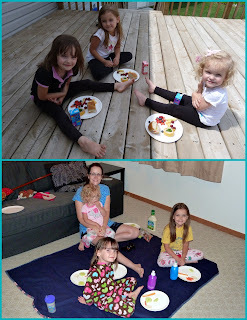 We put up a tent in the backyard, so that we could play and spend ALL day outside. We played at the park. We even let the girls ride their bikes to the park for the first time ever. 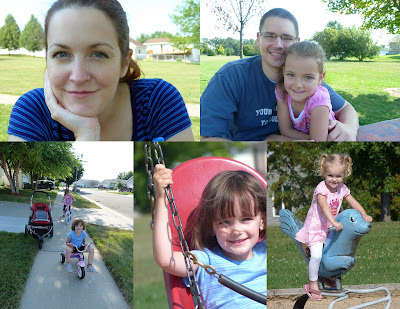 I know, we are horrible parents. We just barely got a 2nd hand bike for Lily this summer, she hasn't had real one before. The trike we bought for Lily (when she was 2) now is Kate's size, but we don't have a bike for Iz, so she ends up riding this pathetic toddle trike. Eventually we'll have bikes in all the right sizes, but probably not anytime soon, unless we stumble across a great deal (like we did for Lily's). 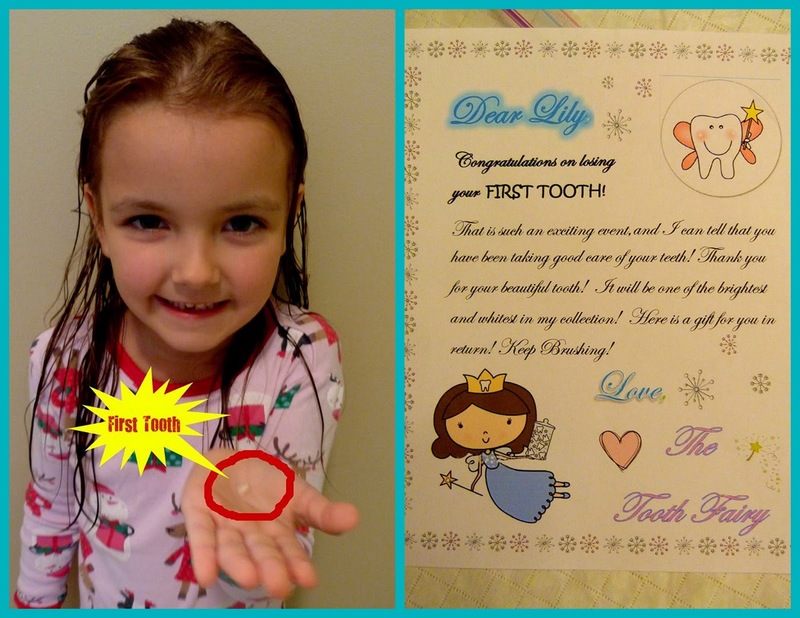 Lily lost her FIRST TOOTH! This is such a big deal! It was so exciting, and I got to be the Tooth Fairy for the very first time! Our garden continued to grow, and we continued to LOVE it! 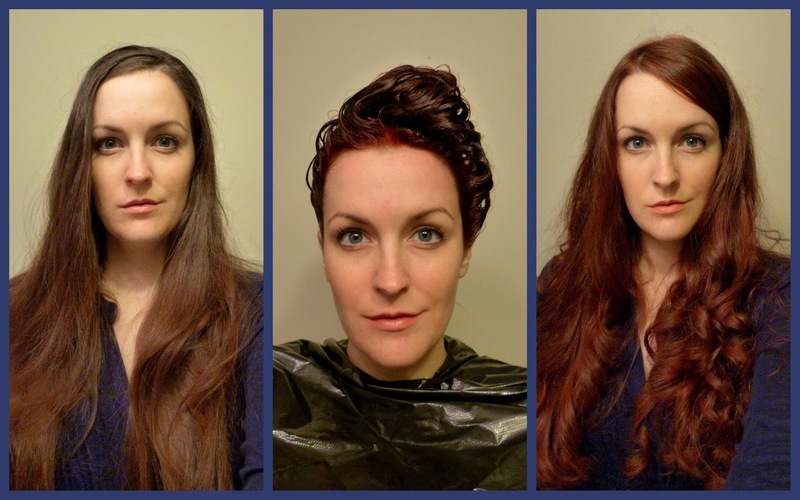 I felt the need for a change, full on "pregnancy frumpiness" setting in, and dyed my hair red! After battling with Isabel for quite some time, in an attempt to get her to stop sucking on the ends of her hair, I finally reached my limit and decided to just cut it all off. I tried not to for a long time, and gave her SO many opportunities to try and change her habit. 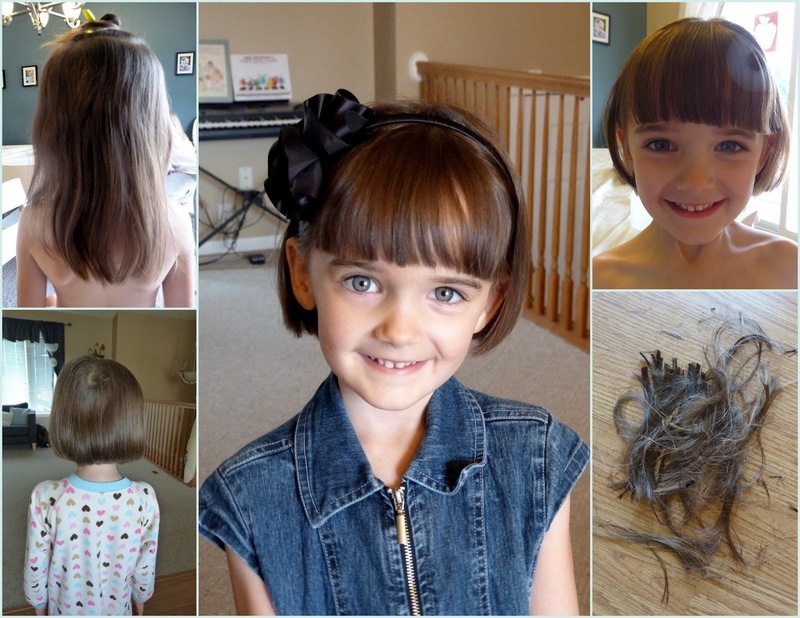 But she is a stubborn one, and even though it was much harder on me than her to cut it off, I decided it was time. Her hair was just so gross, and I really needed something to force her to break the nasty habit. Labor day announces the end of summer here, school always starts the very next day. 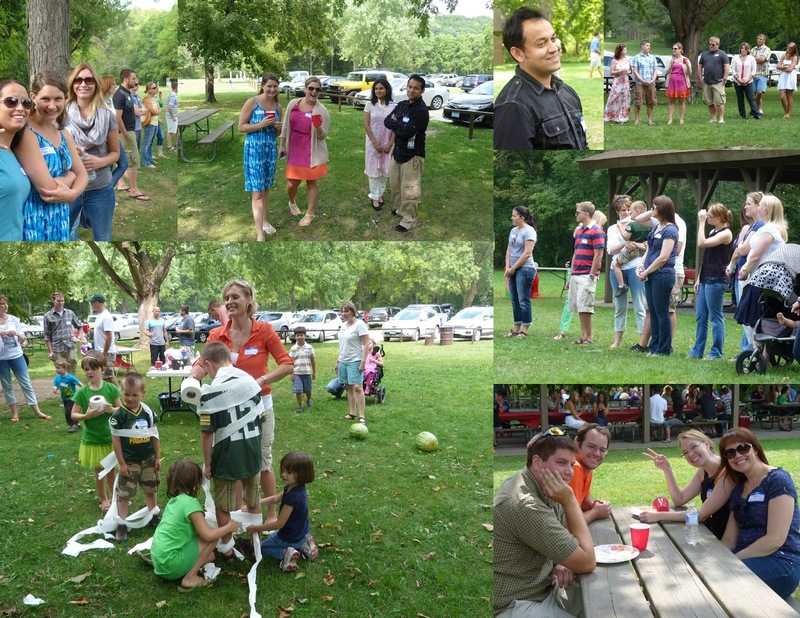 Our ward had a labor day picnic, and it was a chilly day. The temp was somewhere in the 50's, and it was overcast and windy. We all still managed to have a good time though! 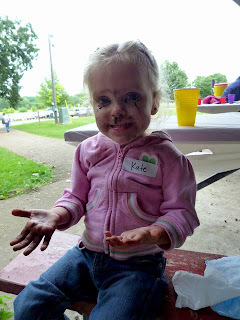 Poor Kate took a tumble at the park and ended up with a face (and eyes, and ears, and mouth, and bloody nose) full of damp, black, dirt. We did out best to clean her up, the below pic is after the initial wipe off, but then had to head home and shower her off. Not a fun way to end the party! Matt scolded me for busting out the camera, he thought it was in bad taste to stop and take a quick pic in her current state, but I couldn't resist. The really heartbreaking/adorable thing was that, even so caked in dirt, especially her poor eyes, when she saw me get the camera she tried to smile and said "cheese". Love that kid! Dancing with Daddy. Makes my heart want to burst. And of course we also love family sing along time. 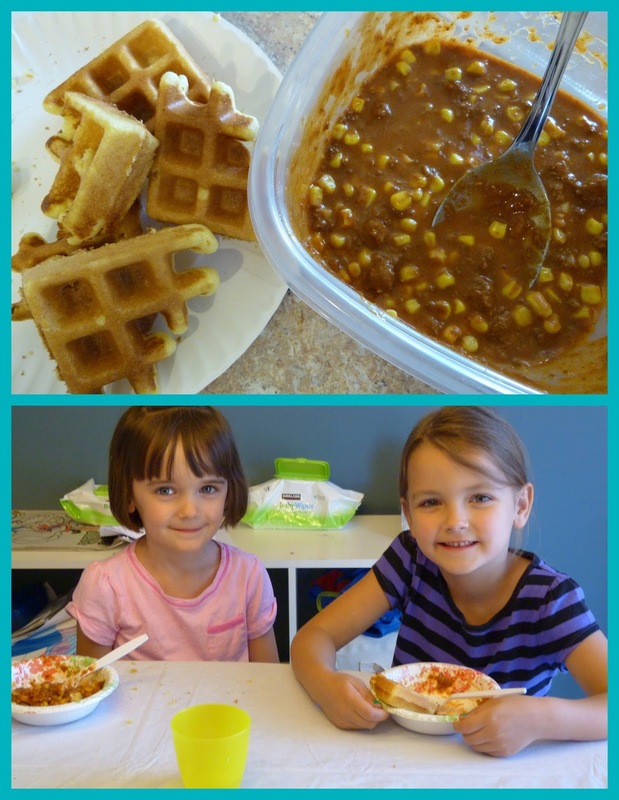 The night before Lily started school we let her pick our dinner menu, she surprised us all by requesting cornbread waffles with chili. And of course, what better way to end the last night of summer than with Popsicles? 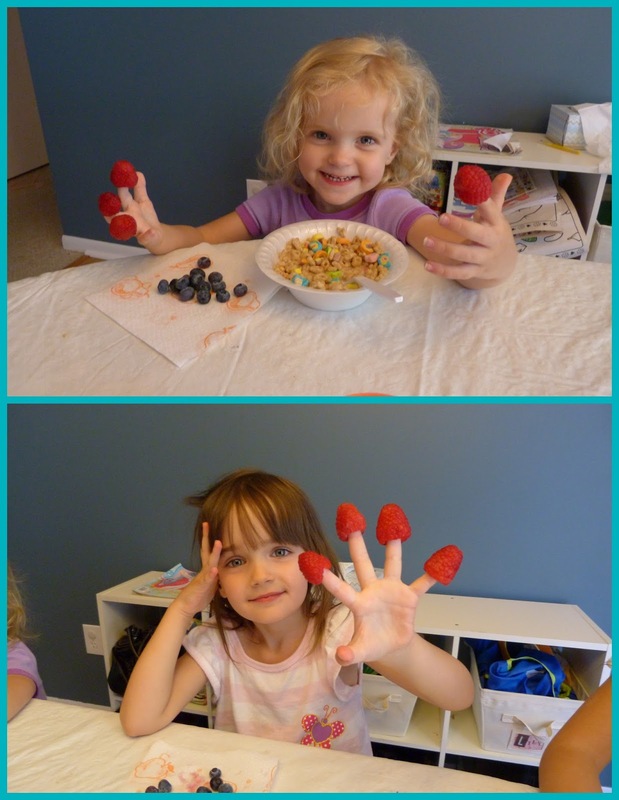 The next morning she was off to school! It is her first year being gone ALL day. I definitely think it's harder on me than her. 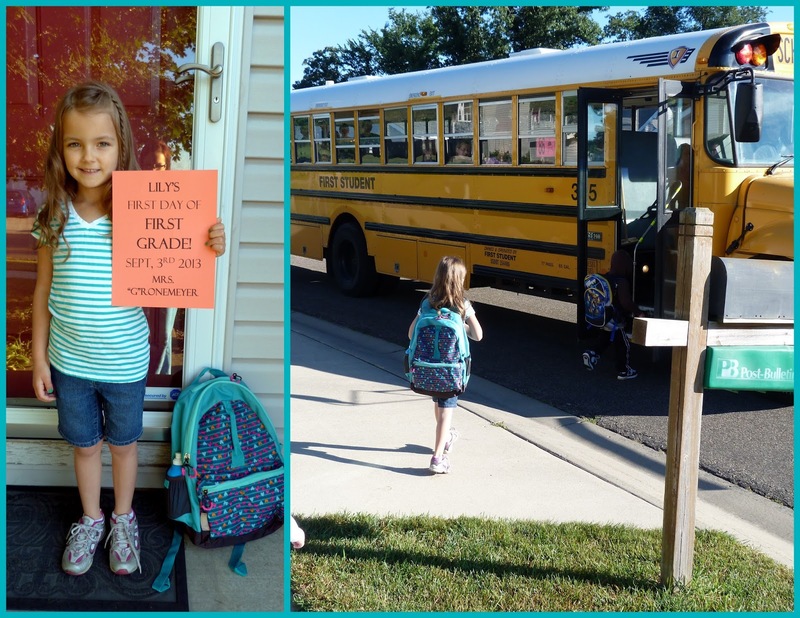 She loves school so much, but the girls and I sure miss her! 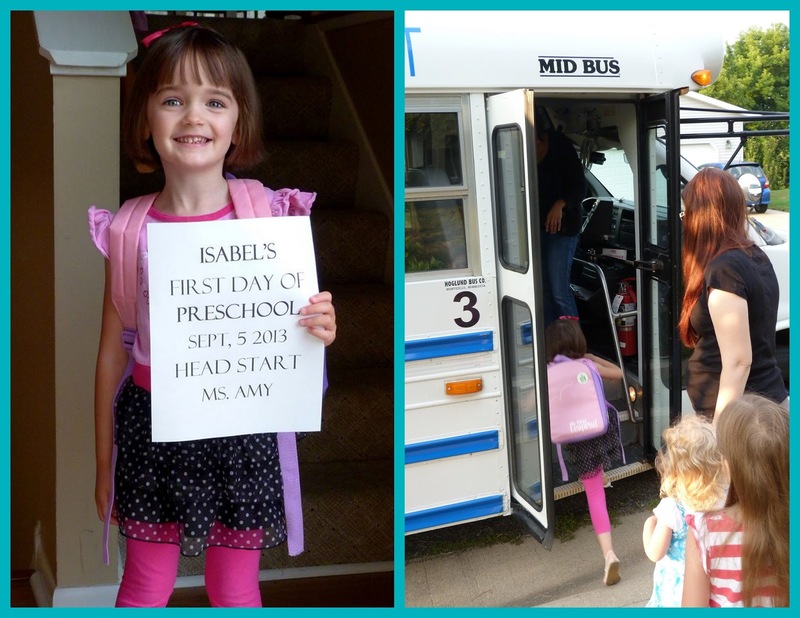 2 days later Isabel had her first day of preschool. (The night before she picked pancakes as her last meal...a far less surprising choice). She loves preschool and I love that the bus picks her up/drops her off right at our door! Matt's Junior class was in charge of the annual welcome freshman picnic for the incoming SRNAs, so we attended that, it was nice, though it made for a looong Sunday. Isabel started a ballet class, which she is LOVING! I am so excited that she is getting to do this. It's just a half hour once a week that an angel from our ward does at the church for free for girls 3-5, and that is perfect for us. 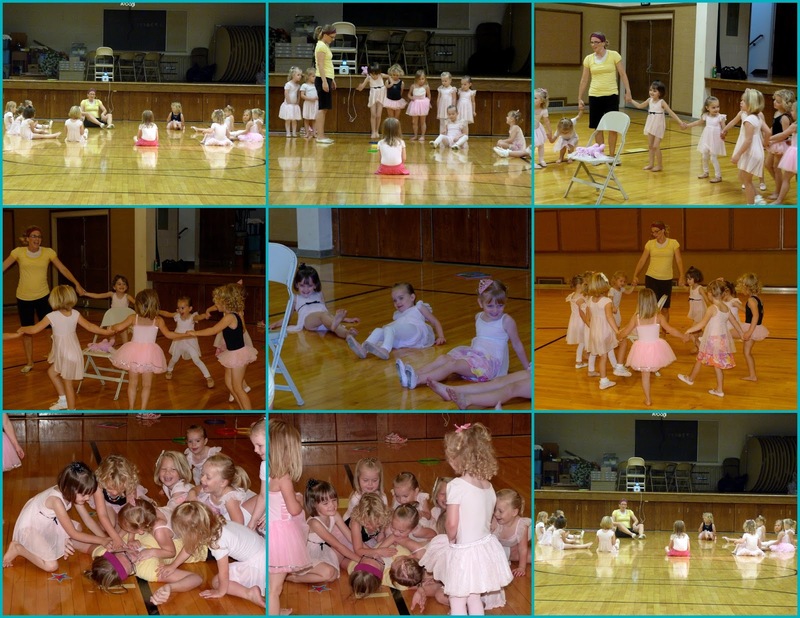 Seriously it is so sweet of Liz to donate her time and talent to these little girls who just love, love, love the class. And as a poor student family who can't afford to do any fun little classes for the girls, I feel so much gratitude for this opportunity! Kate isn't 3 yet, so she doesn't participate, but she likes to dress up in ballet clothes and show the mom's waiting off to the side her dance moves. 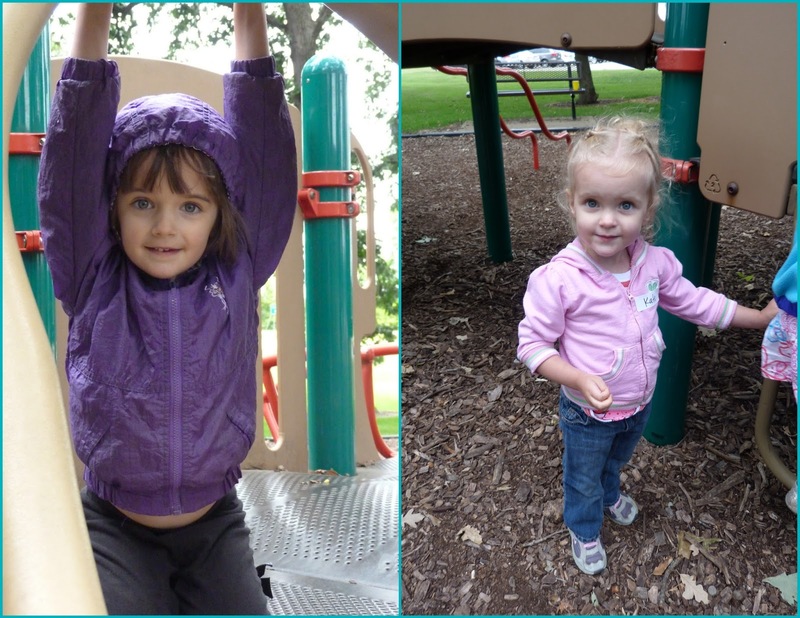 Our church building has a park next door, so it's fun to go over after ballet and let the girls play. They always want to go on Sunday, but we never let them, so it's nice to be at the church in the middle of the day of a weekday and be able to actually let them run over there for a while. Matt's back had been acting up again, so bedtime stories have had to happen in interesting positions. The girls love to be read to, and we love that they love books! Lily is now bringing home books every night that she can read to her sisters and I LOVE that. I finally had to retire the pajamas shown below. I know what you're thinking. "Wow, Jenn, this post is already super long, you really think that throwing out old PJ's is blog worthy? Yikes" And if it were a normal pair of PJ's I'd agree. But normal these PJ's are not. First off, I've had them since I was 13. That's over 15 years ya'll! I have worn them in the hospital every time I have ever had to be in the hospital, simply because they are the only pajamas I have ever been able to actually sleep in. I am normally an undies only sleeper. I would prefer to sleep 100% in the buff to be honest (and I used to!). I just find PJ's constricting and uncomfortable and miserable. However, these are silky and lightweight enough that, though I still MUCH prefer to sleep without them, I can actually manage to get some sleep while wearing them. Hence why any time I've had a baby/been in the hospital/spent the night at someone else's/shared a hotel room, I have worn these. But after 15+ years, they have finally become worn too thin, and are falling apart at the seams, literally. Throwing them out was a sad, sad day for me. I ordered a similar pair, so here's to hoping that they are able to fill the void left behind!! 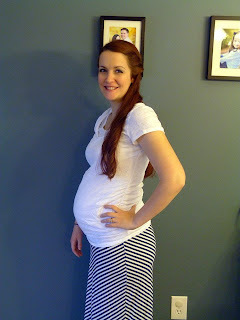 And finally, here is a picture of me from last week, showing off the beginning of the 3rd trimester belly. I think I'll be left with more extra weight than I'd like after this baby comes out, but I don't really think that there is much I can do about it at this point! I'm trying to stay healthy and active, and that's about all I can do. I may just avoid looking at a scale for the next 2 months...and then another 6 months after that.